Ballymote House we believe it was built around 1730. But its welcoming presence is truly timeless; a fact our guests soon realise as everyday cares slip away. This star of the County Down sits in the heart of a landscape shaped by mountain and lough. today’s hectic way of life. That’s why, from the moment you arrive, we make sure the outside world feels a world away. Ballymote is as restful, or as relaxingly active, as you want it to be. Your only decision will be how you want to enjoy yourself next. Not just a country house Ballymote is our family home. We are delighted to extend its warmth to our visitors from Ireland and around the world. 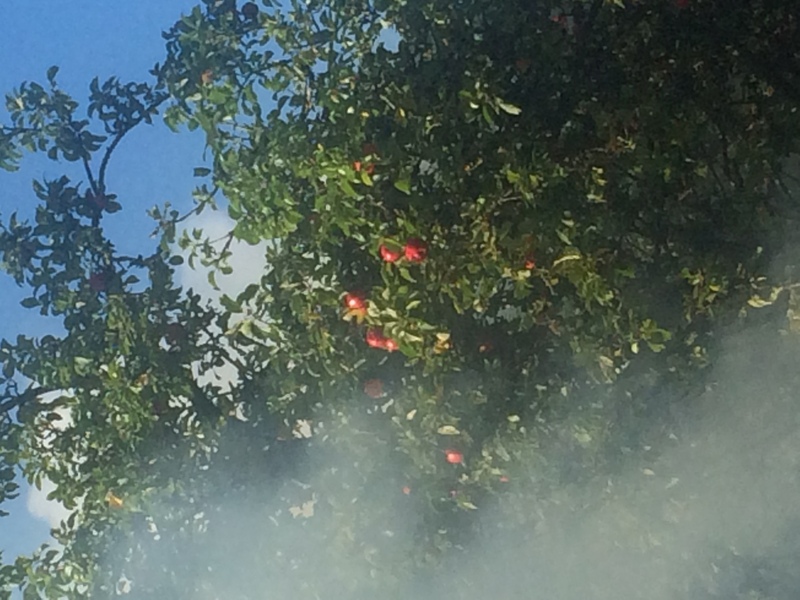 Apples and bonfires, what could be more autumnal! Crab apple jelly begs being made!